The quality and flavor of our pastured pork really shines in this cut. We cook chops on the grill or in a frying pan as a main dish, and they work equally well when diced and used in stir-fry or curries. For the absolute best eating experience we recommend a digital instant read thermometer be used. Cook to an internal temp of 145 F, which will still be slightly pink in the middle of the chop. If time allows, brining is fun too. 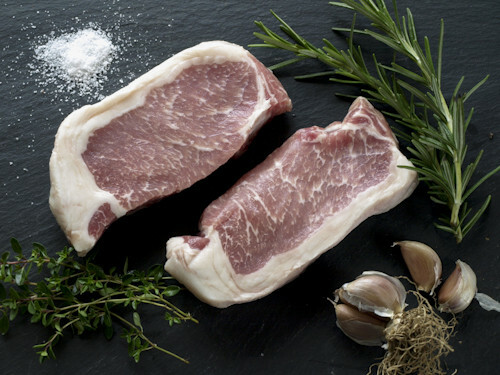 We deliver pastured pork, grass-fed beef, grass-fed lamb and pastured poultry to Bryn Athyn PA, all of Long Island, New York City, and Parsippany, NJ. View our locations.